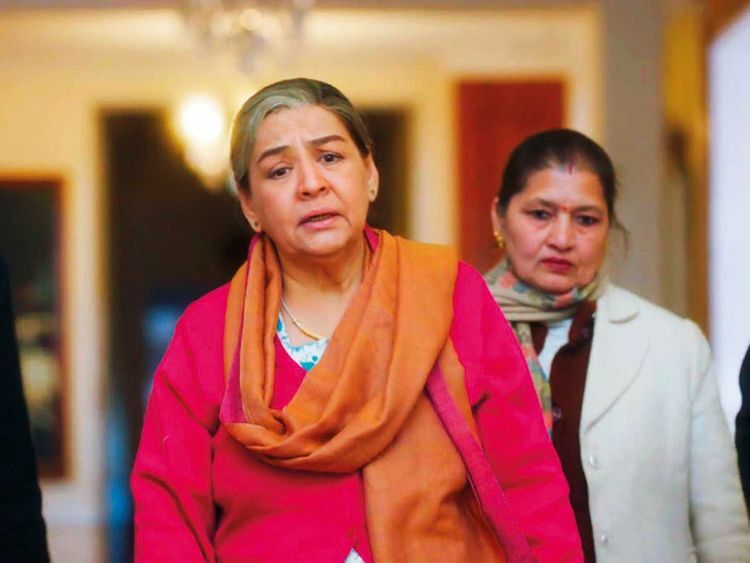 Television and film veteran Farida Jalal, who will soon be seen in the upcoming web series ‘Parchayee: Ghost Stories by Ruskin Bond’, says there aren’t many roles written for older actresses in the Indian entertainment industry. “People really do not write roles for women of our age. Those are really few and far between. Women of our age are only offered the roles of a mother. As an actor, how much variety can I bring to the table if the character is not written with more elements,” questioned Jalal. The actress has regaled audiences for years in films such as ‘Dilwale Dulhania Le Jayenge’, ‘Raja Hindustani’, ‘Dil To Pagal Hai’ and ‘Kuch Kuch Hota Hai’, to name a few. “Of course, the mother of ‘Dilwale...’ is different from ‘Kuch Kuch...’, but at the end of the day, I am playing a mother. Yes, people are saying that more meaty roles are being written for women these days in our films, and that is possibly true for young actresses,” said Jalal. Asked about the kind of roles she wants to work on, she said: “I want to play an out-and-out negative character. That will be a challenging thing for me to work on as a performer. Whenever I say this, filmmakers say that the audience will never relate to me as a dark character because I am a pretty looking woman and such a role does not go with my image,” she said. “Arrey bhai, karwaake toh dekho na, performer ko limit mat karo [at least give us a chance, don’t limit the performer],” she exclaimed in her signature style. The show ‘Parchayee: Ghost Stories by Ruskin Bond’ is based on the writer’s ghost stories. The first four episodes will be based on four stories — ‘Wind on Haunted Hill’, ‘The Ghost in the Garden’, ‘Wilson’s Bridge’ and ‘The Overcoat’. The show will premiere on the digital platform Zee5 from Tuesday. “I am glad the way more stories are being celebrated on digital platforms,” said Farida, who has also acted in films like ‘Paras’, ‘Henna’ and ‘Mammo’.